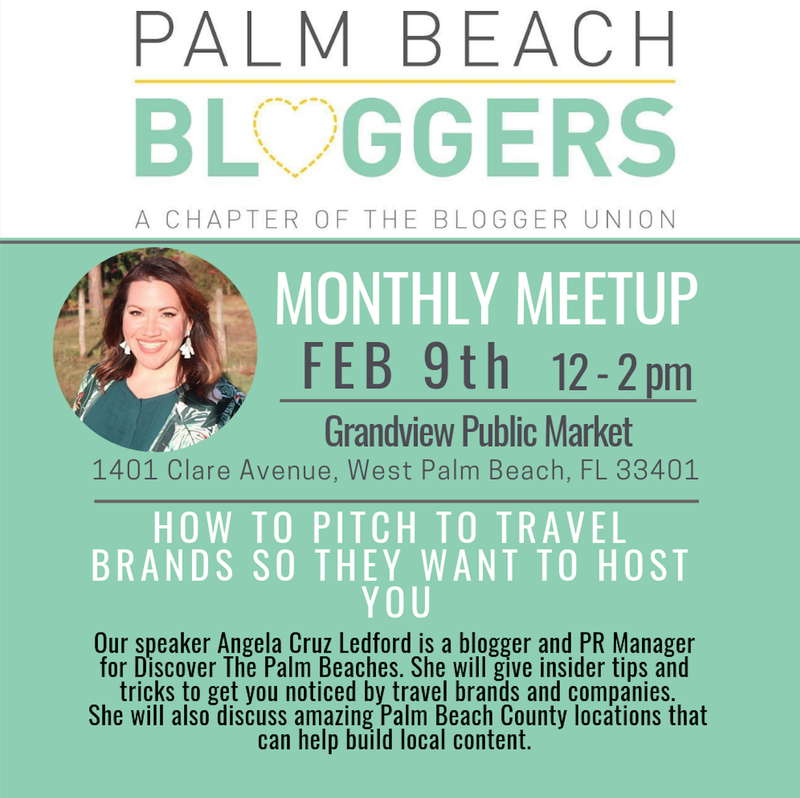 Join Palm Beach Blogger Union as we meet and network at Grandview Public Market. We have Angela Cruz Ledford speaking to the group. She is a PR Manager for Discover The Palm Beaches @PalmBeachesFL, as well as a beauty blogger @AngelaCruzTube and photographer @PalmBeachesPhotography. Come learn about staycations and great venues around Palm Beach County “The Palm Beaches” that can help build your content. You will also find out insider tips and tricks on how to pitch to travel brands and get noticed. Make sure to RSVP and save your spot here.